Jatinder (Jay) Singh Girn (Pharmacist): In 2004 Jay graduated with a Bachelor of Pharmacy (BPharm) from the University of Auckland with Honours and has never looked back! His working experience ranges from rural community pharmacy (Otorohanga), Urban Retail Pharmacy (Orewa) to managing the everyday operations at a busy Accident and Emergency Pharmacy in Hamilton. 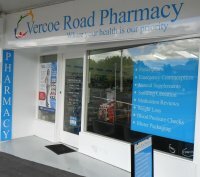 Jay took over ownership of Vercoe Road pharmacy at the end of 2009 and has enjoyed the new and exciting challenges so far. He enjoys finding solutions to his patient's health problems and providing a great service for the surrounding community and his internet customers. Jay is passionate about diabetes, weight loss and the management of drug dependence. 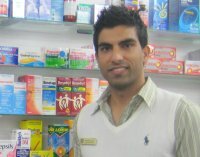 His interests outside Pharmacy include keeping physically fit at the gym, playing sports and modelling. In 2006 he won the Mr India New Zealand modelling competition, featured on the reality show Celebrity Treasure Island and reached the semi-finals of New Zealand's Got Talent in 2009. J & J Pharmacy Limited, trading as Vercoe Rd Pharmacy: located in Hamilton, NZ, we have had many years experience selling health products to customers throughout the world. We aim to offer a comprehensive range of pharmacy, beauty and general health products from leading manufacturers at competitive prices via our online store. Here at the pharmacy we value our customers and we appreciate your feedback. To send us any feedback please use our Contact us form.